With all the summer festival announcements as of late, there has been a clear absence of updates from the Riot Fest team. The 2014 schedule came out during the second week of May last year, but the crew behind the multi-city event needed a little more time before revealing the 2015 installment, which will again visit the cities of Chicago, Denver, and Toronto. Today, May 20, Riot Fest organizers announced over Twitter that the lineups for each city will be revealed sometime next week. We don’t know what day or time exactly, and if we had to guess those who know such information probably won’t be willing to share. We just have to wait. All of us. Organizers also announced a new venue for the Chicago portion of Riot Fest 2015, following several weeks of reports claiming certain influential voices wanted to see the festival moved out of Humboldt Park. Those assholes got their wish, and this year the festival will take place September 11-13 at Douglas Park. Click here for more information about the new venue and its location in relation to downtown Chicago. 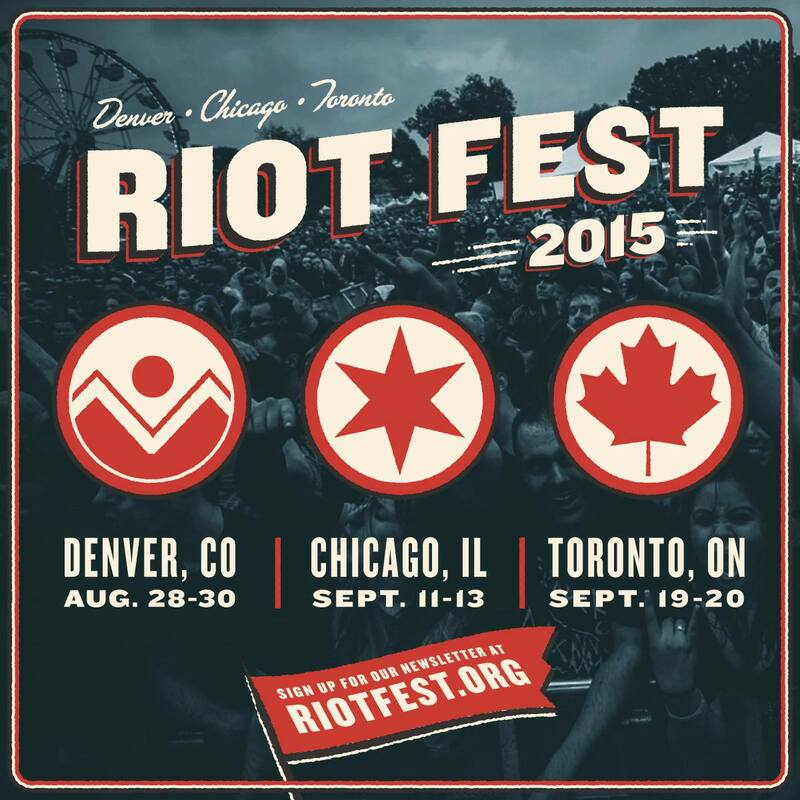 We’re planning to have team members on the ground in at least two of the three cities, and in the months ahead we’ll reveal some giveaways we will be holding during our time at Riot Fest. If you plan to attend, connect with us on Twitter and let us know the dates you have marked on your calendar.